Celebrated Irish singer Karan Casey offers a completely unique take on folk music by blending traditional instruments with a touch of soul and swampy R&B arrangements. Her genre-blending palette is highlighted on her latest critically acclaimed album Hieroglyphs That Tell The Tale. On the album, her opening cover of Bob Dylan’s “Hollis Brown” clearly telegraphs what’s to follow. Produced by award-winning composer Donald Shaw, the album is Casey’s seventh as a solo artist. 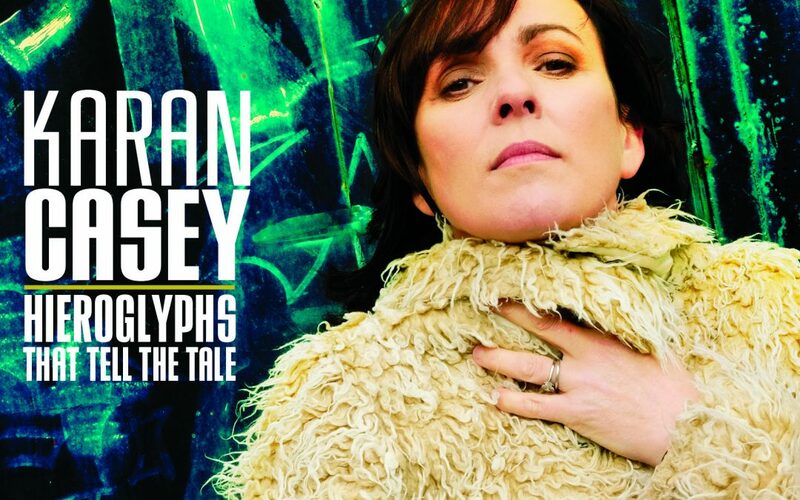 Released on Vertical Records, Hieroglyphs stands out with lush production and 25 musicians on the album, who deliver hits inspired by contemporary folk writers Janis Ian, Eliza Gilkyson, Mick Flannery and more. Following the release of “Hieroglyphs,” Casey returns to the US on May 14th for a ten-day east coast tour. The distinguished musician is no stranger to the stage – Casey has played on stages all over the world with the likes of James Taylor, Liam Clancy, Mick Moloney and more. She’s come a far way since her days as a Jazz performer in Dublin to now having sold over half a million albums worldwide. When she’s not touring or releasing new music, Casey is deeply involved in the Irish community. Most recently, Karan founded FairPlé, which is an organization aimed at achieving fairness and gender balance for female performers in Irish traditional and folk music. More info on FairPlé here.